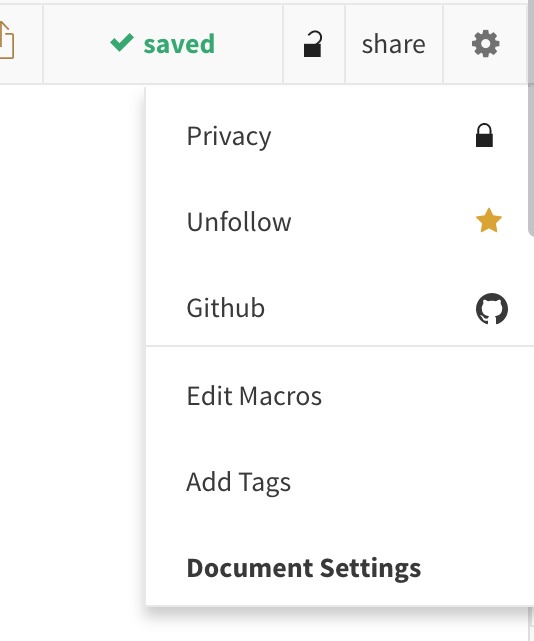 You can add keywords, tags, or subjects to your documents in order to better group organize, and present them in your own profile page, group pages, and the Authorea Explore page. You can add up to five tags per article. Step 1. Select the gear from the toolbar on the document you wish to tag, and click on Add Tags. If your document is tagged and is part of a group, it will appear at the top of the public articles tab. Group owners and administrators can manage which tags show up in groups, from the Settings tab.